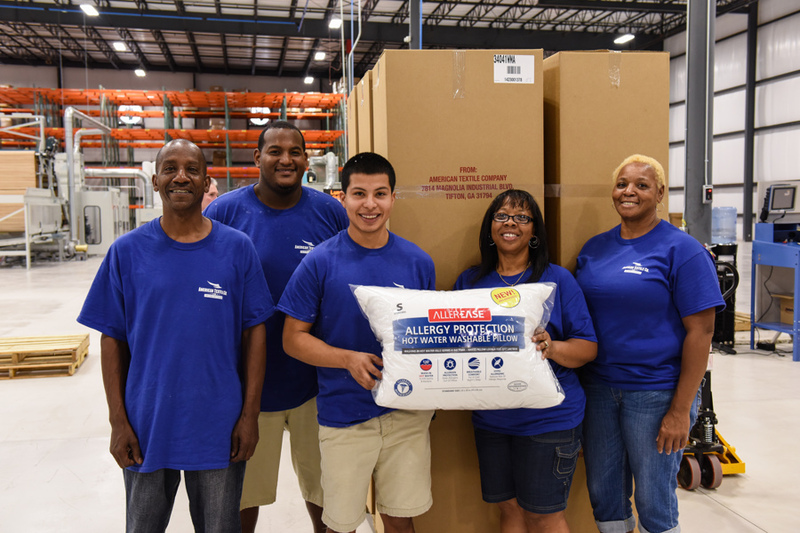 The American Textile Company (ATC) is a manufacturer and supplier of mattress pads, pillow cases and pillows. 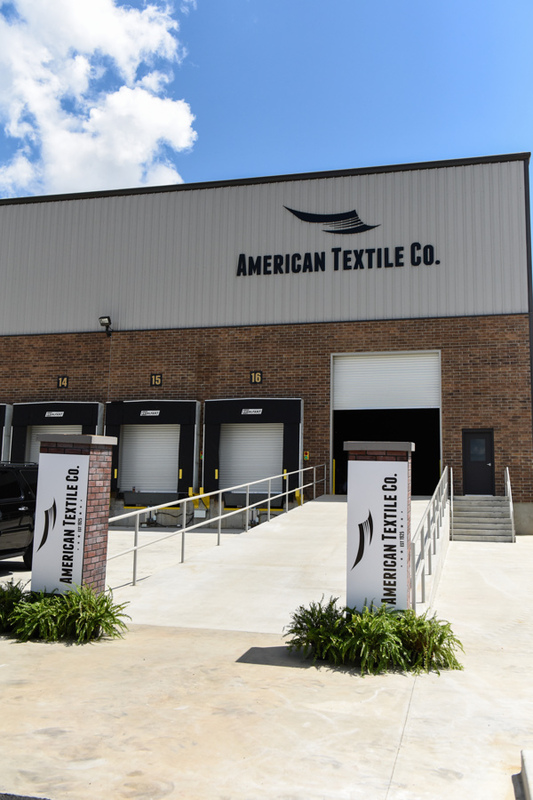 Originating in Pittsburgh, Pennsylvania, ATC recently expanded its operations into Tifton, Georgia, by opening its second manufacturing and distribution center there. 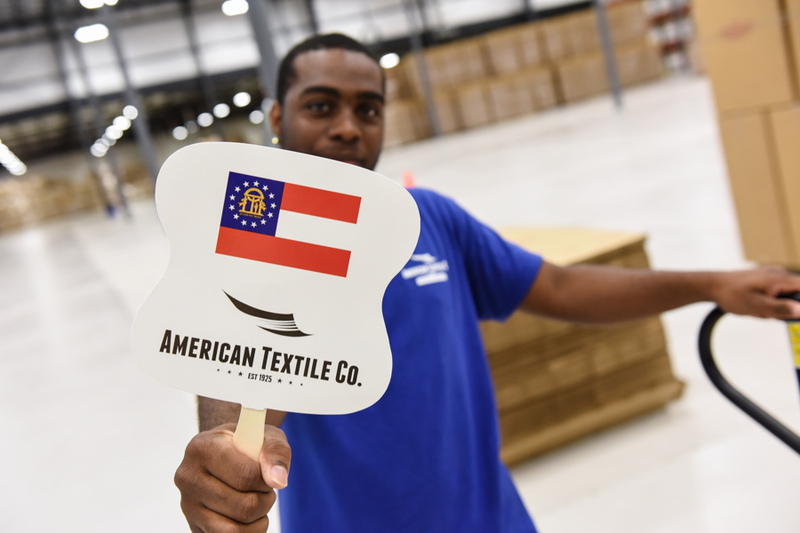 To celebrate the opening, ATC hired The Event Group to help celebrate the opening of a new distribution center in Tifton, Georgia. 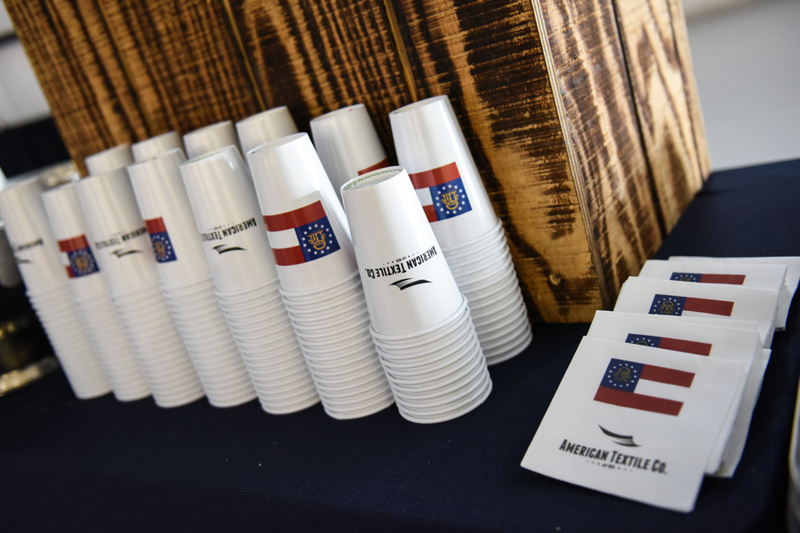 The state of Georgia and city of Tifton welcomed ATC with open arms, and using the Georgia state flag and ATC logo, we used different methods to incorporate the two brands into almost every aspect of the event. 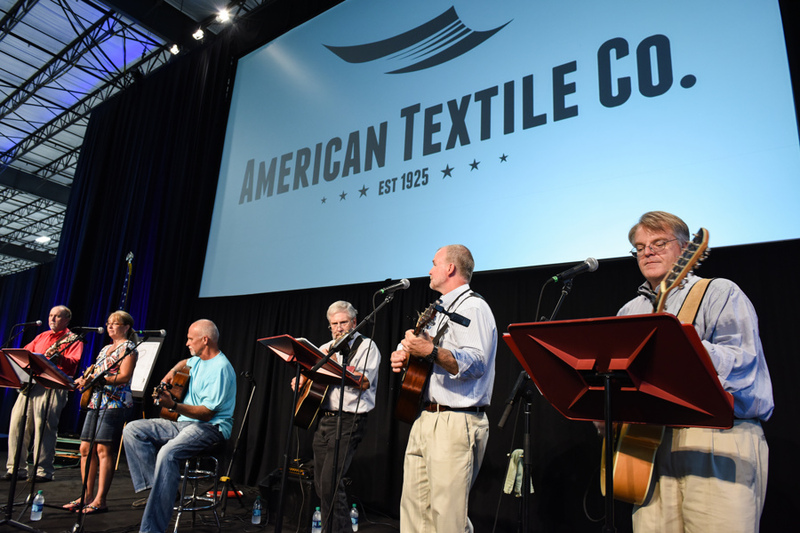 Guests were greeted with the ATC logo outside the building, including additional signage we added to the posts. As favors at their tables, guests were given a logoed fan and pillow. 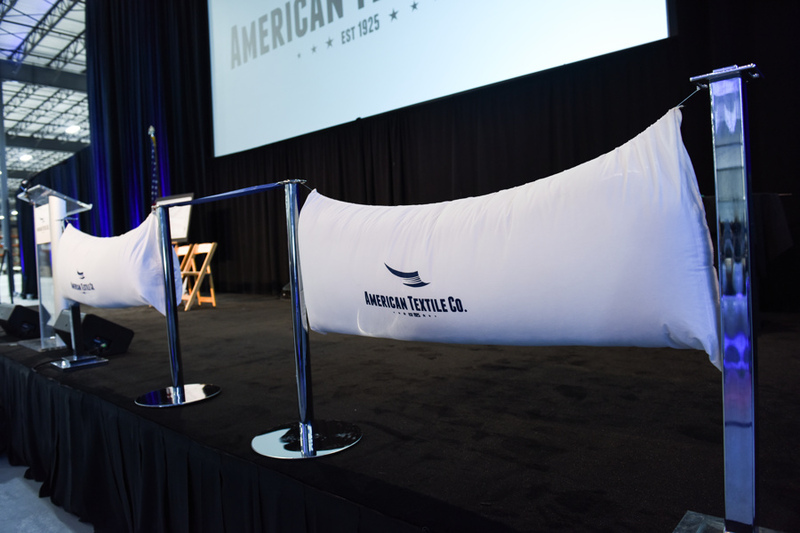 In addition, a ribbon cutting ceremony was held with two body pillows with the ATC logo. 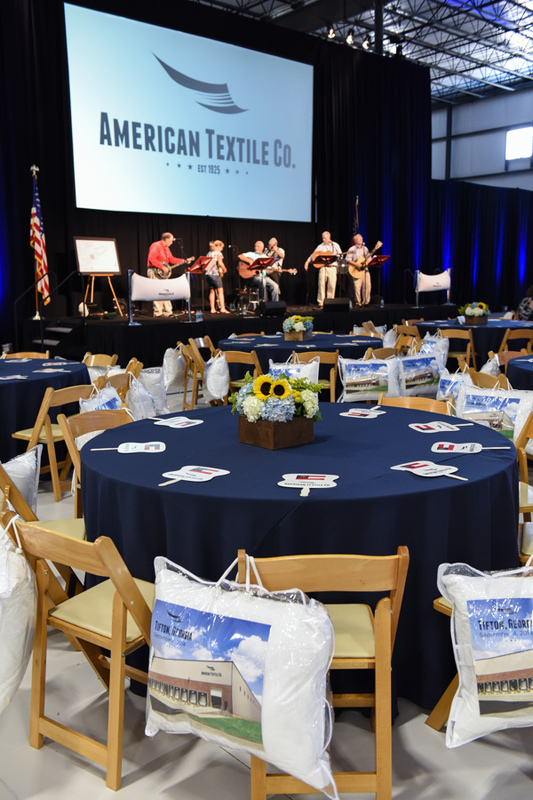 Branding continued all the way to the food, which guests could eat with the cups and napkins we had custom made for the event! 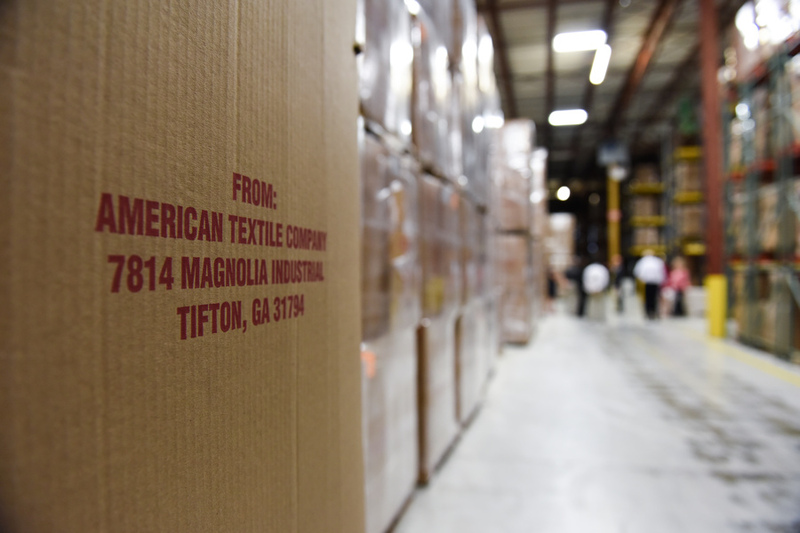 Guests, which included executives from both the Pittsburgh and Tifton branch and workers from the Tifton plant as well as Tifton government officials and business owners, were also treated with a tour around the facilities. 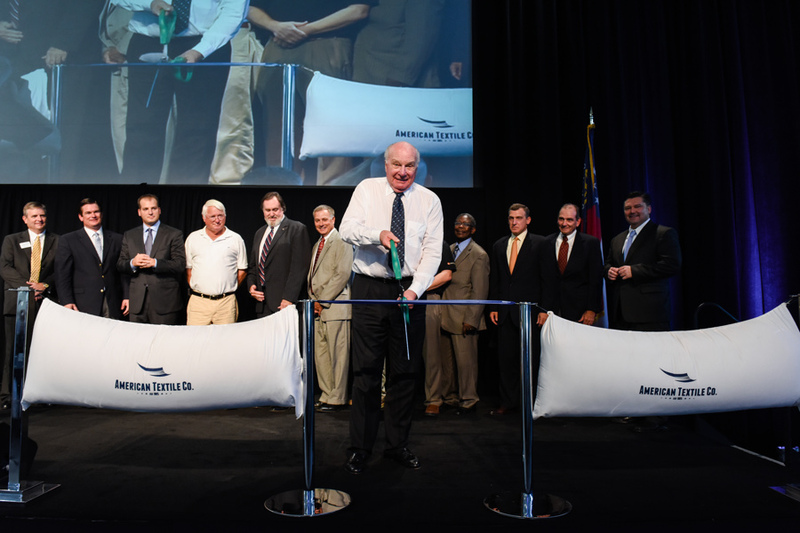 This included the recently-built facility as well as the older warehouse.